This was our first “just for fun” trip in a while, and I have to admit it was so refreshing. I had no idea how quickly I would fall in love with Charleston. It’s a charming and quaint southern city with a European vibe. Walking through the Historic District of Charleston is truly like taking a step back in time and is so well-preserved. We stayed at a quaint little Airbnb on Market and Wentworth. It was the PERFECT location and we were within walking distance to nearly everything. Some of my favorite memories from the trip were walking down cobblestone streets holding hands and taking in the gorgeous scenery with no agenda. Everywhere you look, you will see the sun peeking through the oak trees, perfect little pastel homes and lush greenery. I was blown away by the food scene. We ate some of the best food we’ve ever had on this trip! That being said, don’t be overwhelmed by all of the suggestions. My best advice would be not to stress about hitting every single spot and just enjoy your time there. Check out our Charleston video here. THE PARK CAFE - Two words: Avocado. Toast. We had the loveliest little breakfast here! It was a bit out of the way, but no more than a 10 minute Uber ride. 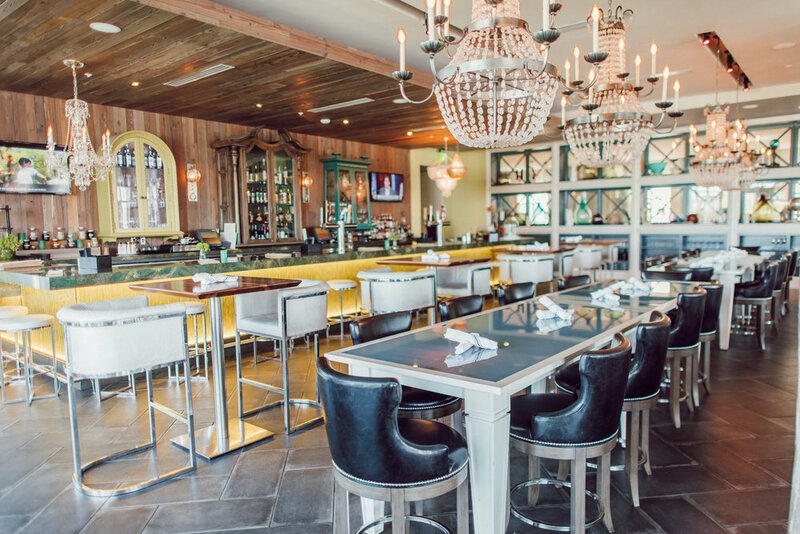 Right next to the 60-acre Hampton Park, this sunny farm-to-table café serves up breakfast, brunch, lunch, happy hour, and dinner with emphasis on freshness and flavor. BASIC KITCHEN - We stumbled upon this little gem on our way to do some shopping on King Street. We only had coffee, but the food looked amazing and the vibe of the whole place was so cool. It has a retro diner feel with crisp and modern twist. CALLIE'S HOT LITTLE BISCUIT - We probably walked a solid two miles to get here, and boy was it worth it! These made-from-scratch biscuits are to die for. It's located in a tiny spot with limited seating so we took ours to-go. OBSTINATE DAUGHTER (Sullivan's Island) - This is a must-do! It was one of the most unique restaurants and had such a wide-ranging menu. From the raw bar items to fresh pizza and pasta, you can't go wrong with anything here. We split some appetizers, a pizza and a farro bowl and everything was bursting with fresh flavor. I highly recommend putting Obstinate Daughter at the top of your Charleston list! CIRCE'S GROTTO - When you get tired of all the foodie dishes and just want a good ole sandwich for lunch, look no further than Circe's Gratto. It was also recommended to us by several locals. This family-owned business serves up fresh, made-to-order panini with tons of options and great prices. SMOKE BBQ - Cameron is a big BBQ guy and we had to try some South Carolina style BBQ on our trip. Our Uber driver, who happen to be a fellow BBQ connoisseur, suggest Smoke. It was really delicious and the sides were amazing! Cameron got the ribs and I got the classic pulled pork. There are several locations throughout the city and we went to the one on King Street. LEON'S OYSTER SHOP - Leon's was one of our very favorite spots. The laid-back vibe of this place can't be beat. Leon's would be a great option for lunch of dinner. We had the best oysters we've ever had at Leons. FIG - This was the fanciest dinner of our trip. We got dressed up for our photoshoot and went straight to FIG. 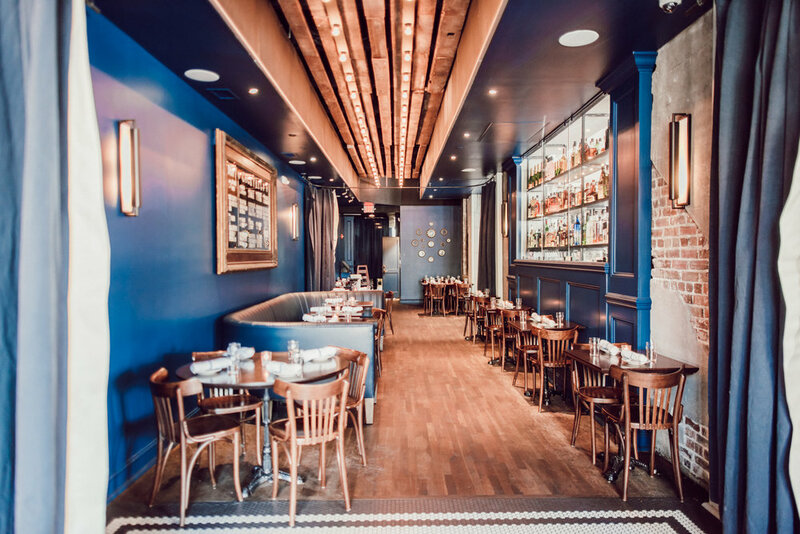 The restaurant has an intimate feel and makes the perfect date night spot. The menu was fresh and innovative. POOGAN'S PORCH - Poogan's Porch was another highly-recommended restaurant. We went to dinner there on a whim and ended up sitting at the bar. It was unexpectedly one of the best meals we had while in Charleston. I had the filet and Cameron had the duck and we would highly recommend both. Plus the restaurant is named after the neighborhood's stray dog who used to roam the street so that makes me love it even more. THE ROOFTOP BAR AT VENDUE - I loved the vibe of this rooftop bar! We met an old friend for drinks and it offers a picturesque view of Charleston from above. 82 QUEEN - We absolutely loved this place! We dropped by an old antique store and the owner recommended having drinks and appetizers here. I'm so glad we did! Tucked away in a little alley, it is the most beautiful restaurant and courtyard. THE GRIFFON - The Griffon is the perfect place to take a break from all the walking and grab a cold beer. It's a really cool dive bar and pub that sits on almost 20 years of crumpled dollar bills and memories. NATHANIEL RUSSELL HOUSE - Cameron and I love learning about the history of the places we travel, and we were so excited to check out a few historic homes. 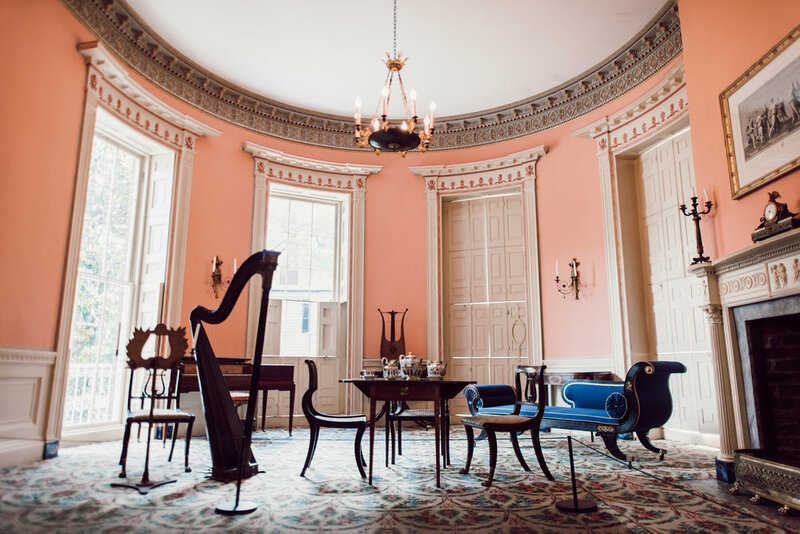 The Nathaniel Russell house offers a glimpse into the lives of Charleston's elite in the 1800's. A few things that stood out were the home's elaborate design, geometrically shaped rooms, formal gardens and collection of 18th-century fine art. WHITE POINT GARDEN - White Point Garden is located in the heart of the historic district downtown. This park provides beautiful views of Fort Sumter and of the Charleston Harbor. The park features lots of grass space shaded by beautiful old oak trees. This is where we began our photoshoot with Ashley. Read more about that here. RAINBOW ROW - Rainbow Row is a famous row of houses near the historic water front painted in bright pastel colors. The houses are steeped in rich history and also make for a great photo op. BOONE HALL PLANTATION - It has been featured in several popular films including Gone With the Wind and The Notebook. Boone Hall is also where Blake Lively and Ryan Reynolds had their wedding. It's truly a picturesque property and well worth the drive. WALK! - Walk everywhere you can. It's such a great way to familiarize yourself with the city and take in all that it has to offer. GHOST TOUR - Call us crazy but we love a good ghost tour, and Charleston is the perfect setting for it. We went on a tour with Ghosts of Charleston and it was awesome. They take you through the city and end at the famous haunted Unitarian Church Cemetery. BOOK A PHOTOSHOOT - This may seem silly, but I promise you'll thank me later. Check out the photos from our shoot and more about our experience here. It's a great way to remember your trip and we've decided to make a habit of it wherever we go. TAKE A CARRIAGE RIDE - This was a great way to see a different perspective of the city and hear more about its history. Our tour guide was knowledgable and you could tell that he truly cared about the city and its rich history. The rides are based on a lottery system so you don't know which route your driver will pull. I suggest doing this early on in your trip so that whichever route you don't get to go on you can walk later. 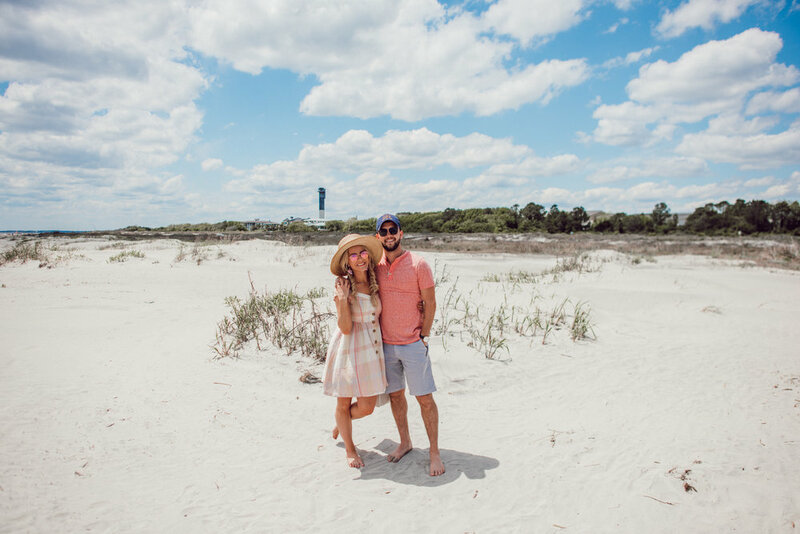 SPEND A DAY ON SULLIVAN'S ISLAND - When you need a break from all the walking, take a day trip to Sullivan's Island. This small beachfront town is full of unique restaurants, fun shops, beautiful beaches and rich history.